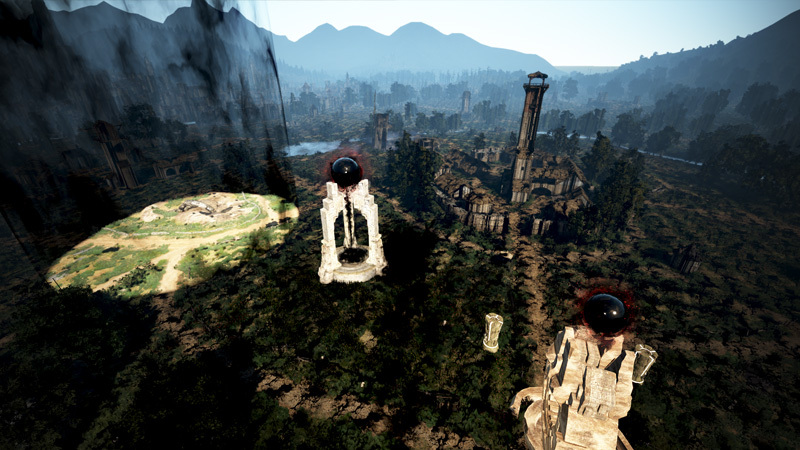 Join Black Desert's new Battle Royale mode for free between January 23rd and February 4th, even if you've never bought the game! We want to thank everyone for the support they’ve sent for Shadow Arena: Battle Royale. Currently, Shadow Arena is in Early Access, and has yet to have an official season. So prior to an official season, we will begin the Shadow Arena: Battle Royale Pre-Season today. ※ The end of pre-season may be subject to change at a later date. A prior notice will be given for any changes. ※ The end of the pre-season and Early Access marks the beginning of the official season. - Your Shadow Arena ranking will be displayed after you have played 30 matches, and your rankings will refresh every 5-10 minutes. - Requirements: Must have completed at least 1 match of Shadow Arena. The ability to view rankings in Shadow Arena, and changes to the way scores are calculated will be added around start of the pre-season. Additionally, seasonal rewards based on rankings will be given once the pre-season ends. - When you survive longer than 5 minutes, you will obtain Survival Score which is proportionate to the amount of your survival time. - If you die within 5 minutes, you will not obtain Survival Score. ※ Exact details for rewards will be announced in a notice before the end of the pre-season. Adventurers, please continue to join us for the Shadow Arena: Battle Royale pre-season during this early access period. We will be listening closely to your feedback and working hard to reach new heights for our upcoming official seasons. and survive until the very end. Shadow Arena: Battle Royale is currently in early access, and you will be able to participate during the designated hours. ※ These hours are subject to change. If we happen to change the hours, we will make sure to notify you through an announcement. 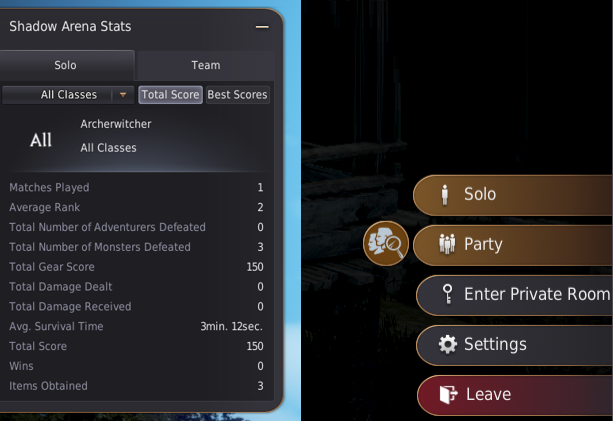 So, how do you join a Shadow Arena: Battle Royale match? First of all, you need to make sure your character has completed the tutorial. Next, press the ESC button and you’ll see the “Marni's Secret Isle” icon. Click on the icon and proceed. (If you are using the menu which opens up from the left/right side of the screen, you’ll see the icon within the War/Co-op tab). ▲ This is the entry button. As long as your character has completed the tutorial, you can enter! Now, you will enter Marni’s Secret Isle, which is the waiting area. 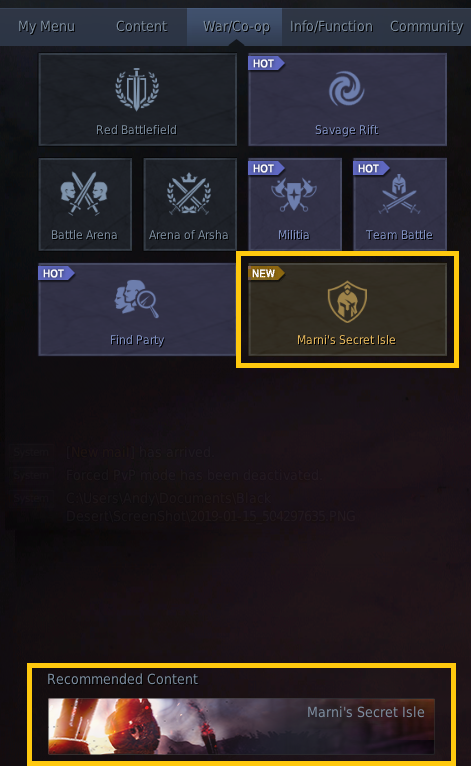 The waiting area for Shadow Arena (the area you enter when you press the button for Marni’s Secret Isle) has been changed to the entire Black Desert World. When you enter to play Shadow Arena, you will be moved to a separate instanced place which is identical from the place where you entered from. When you’re at the waiting area, you can select an option to either play as a team or play alone. Oh, and the Private Room option is just for special events. Normally you won’t have access to this option. ▲ On the top left side, you can view your career stats. On the bottom right side, you can select the type of match you want to play (team or solo). Once you select the type of match you want to play, you will wait in another waiting area until at least 40 players have gathered. The match will then begin after 60 seconds. During the 60 second countdown, up to 10 more players can join. So that means that there can be up to 50 players per match. 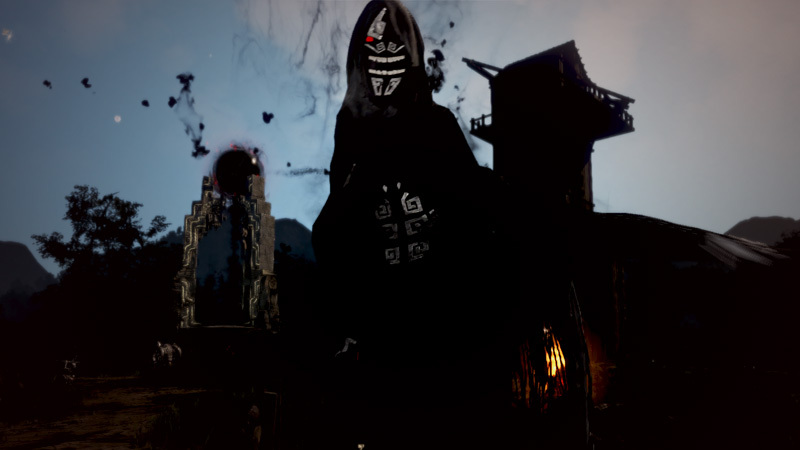 Once you enter a match, you will start off as a Black Spirit. As a Black Spirit, you can fly around by pressing the spacebar multiple times. In the beginning, all Black Spirits are tossed up into the sky. Once you land on the ground, you can begin controlling your Black Spirit. ▲ Everyone starts off as a Black Spirit! You can nearly fly as you press the spacebar. As you move around the arena, you’ll see different character classes encased within dark sealing stones. Now, the first thing you want to do is to find a character to possess. Your HP will continue to decrease while you’re a Black Spirit, so you’ll need to hurry up and find a character. Once you possess a character, you cannot change your character. So choose wisely! ▲ There’s a higher chance for characters to be trapped around the black towers, so use this tip to your advantage. Alright, now let’s say you selected and possessed a character. The character you possess is pretty much like a beginner adventurer who hasn’t learned any decent skills. The character will only have a basic weapon and a basic skill. ▲ These ferocious looking monsters are quite the threat, especially since you start off with very basic equipment. Now, it’s time to go find something useful. 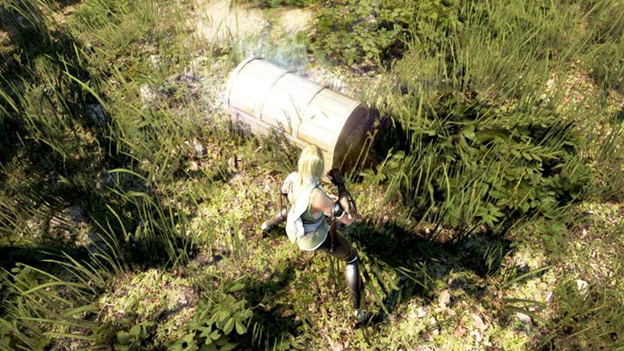 You can obtain items and skill by defeating monsters or by destroying chests. ▲ Get stronger by busting open chests, or by slicing up monsters. It’s simple. Get stronger by obtaining equipment, skills, and other items. As time passes, you’ll notice that stronger monsters appear, but at the same time you’ll have a higher chance of obtaining better items by defeating the stronger monsters. Skills are automatically assigned to your Quick Slot as you obtain them. You can use the skills in your quickslot by pressing your hotkeys (1 through 9) or by using skill commands. ▲ Every time you obtain skill books, skills will automatically be assigned to your quickslot seen on the right side of your screen. Consumable items such as HP Potions and Stun Traps will be assigned to your Z, X, C, V, and B keys seen at the bottom of your screen. Make use of these items during critical situations to get yourself out of danger. ▲ Consumable items can be used by pressing Z, X, C, V, and B! Remember, it’s Z, X, C, V, and B! Now, let’s take a look at the hotkeys. Discarded items can be picked up by other team members when played in team mode. Stay on guard and be ready to move quickly. There could always be an enemy nearby. At first, the battlefield will be a wide area. However, the Dark Fog will slowly but steadily surround the battlefield towards the center area. ▲ Observe the battlefield covered in darkness. You must go into the bright area seen on the left in order to live. There are deadly Black Spirits waiting to take your life in the Dark Fog area. These Black Spirits deal great damage, so be very careful. ▲ If you’re inside the Dark Fog, Black Spirits like this one will inflict great damage on you, so don’t stay inside the Dark Fog! So, you want to become stronger? If you want to risk your life to become stronger, pay close attention! The quickest way to become stronger is also the most dangerous way to become stronger. Basically, you’ll have to defeat other surviving adventurers. If you defeat another adventurer, you can obtain all the items dropped by the adventurer. This means that you can instantly become stronger. That’s of course, IF you are able to defeat the adventurer. Remember, YOU might be the one getting defeated! 1. You can fly around by pressing the spacebar when you start as a Black Spirit. Time is gold! Check for black towers nearby. It’s the best chance you have at finding a character to possess. 2. Quickly possess a character near the black tower area. Your chances of survival depend on how quickly you gather items and skills. 3. Chests have a high chance of dropping skill books and consumable items. Monsters have a high chance of dropping equipment. 4. 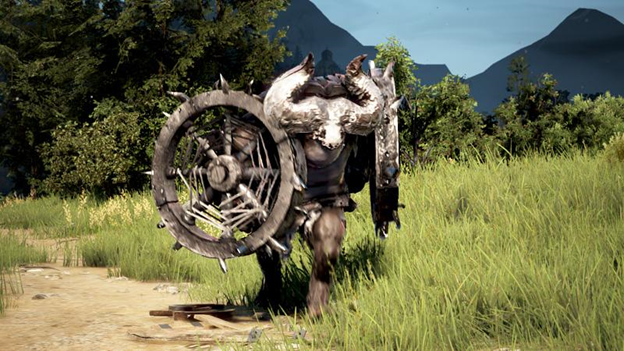 Monsters will become stronger as time passes, but they will also have higher chances of dropping better equipment. 5. 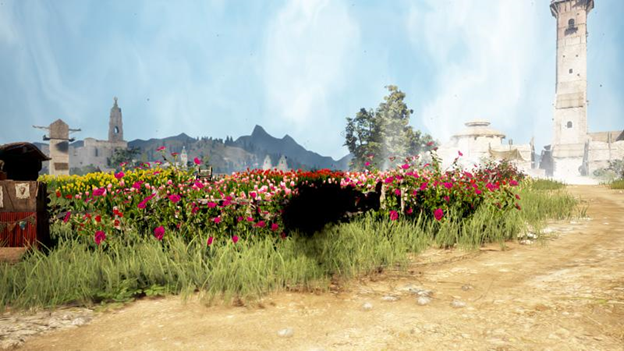 There will be a higher chance of encountering other players around the black towers, so you might increase your chances of survival by roaming around the fields away from the black towers. 6. There will be a yellow glowing effect on top of chests which can be destroyed for items. 7. If you defeat a Boss monster, there is a chance you can obtain yellow-grade gear. Avoid the Dark Fog, and fight your way to become the last spirit standing to win! So, what kind of rewards can you obtain from the Shadow Arena: Battle Royale? 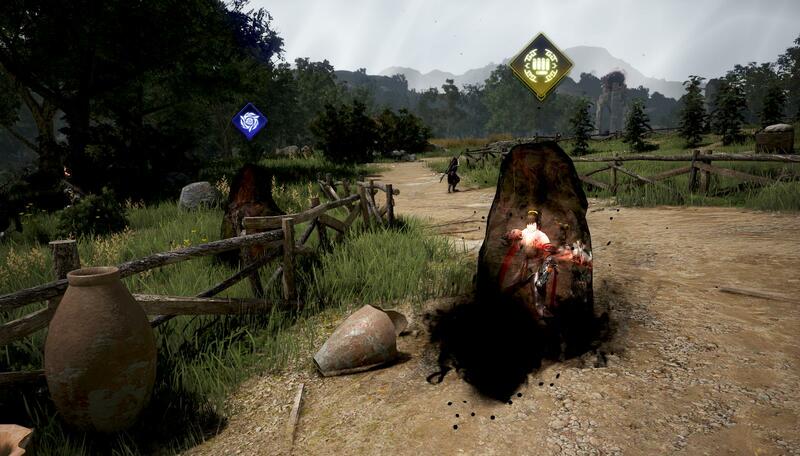 You can exchange the gear you obtained through the match with Silver, or you can obtain special Black Rocks depending on your survival standings within the match. Black Rocks can be used to obtain Black Stone, Concentrated Magical Black Stone, or Memory Fragment. ※ Rewards will be sent to your in-game mail. Get ready for Shadow Arena: Battle Royale! Since we are in Early Access, we will continue to develop and improve Shadow Arena. We hope you enjoy the new mode, and we’ll look forward to hearing your feedback.